 Public Lab: What's an easy way to compare two liquid samples with a spectrometer? Question: What's an easy way to compare two liquid samples with a spectrometer? Hi, @programmer1200 -- saw your post on a cuvette holder and wondered if it would be possible to use it for two cuvettes simultaneously? Perhaps by modifying the design? Yes it is possible to redesign it for two cuvette at one time would just need to widen the area toward the spectrometer and double the area on the top. If you like I could here in the next week get started on a mod version.I'm curious what would be your need to examine two cuvettes at one time? This was designed for a laser, but could be adapted for back lighting via LED as well. This can be a helpful way to get the same exposure for two samples at once, which can be important when using a less-controlled camera like a webcam. That way you're not worried that the exposure settings would be different -- as long as the light is hitting both sample containers identically! We had an old idea for this a ways back -- posted below. But yours connects so beautifully to the spectrometer, it's a great improvement! 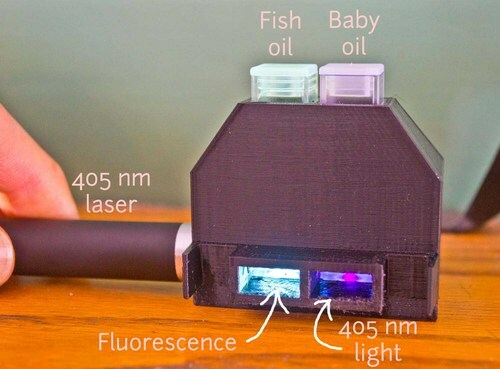 How can we detect contaminants in water samples with a DIY spectrometer using reagents? It would also be really cool to see a design adapted for the Lego Spectrometer! Yes it is possible to redesign it for two Gclub Royal cuvette at one time would just need to widen the area toward the spectrometer and double the area on the top. If you like I could here in the next week get started on บาคาร่าa mod version.I'm curious what would be your need to examine two cuvettes at one time? What could be some applications of a hand-powered paper centrifuge? Lego Spectrometer cardboard cut out template?